The editors of Present Tense are pleased to announce a new issue – this one focused on a range of topics, from race and law to the politics of higher education. 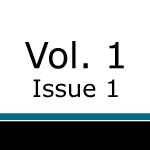 Volume 4.2 includes articles that explore rhetoric as it exists in many different places, especially as it is employed by disempowered and disenfranchised groups in politically contested locations. From explorations of the lived experience of race and ethnicity in Arizona, to protests against and appropriation of state rhetoric in Hong Kong, to the contestations of the term “student-athlete” in our colleges and universities, this issue focuses on the spaces where rhetoric is employed by those who are not in positions of legal, social, or economic power. 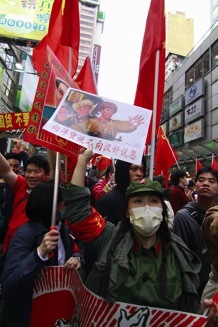 “Grassroots Tactics and the Appropriation of State Nationalist Rhetoric: Protest, Mockery, and Performance in Hong Kong“: Shui-yin Sharon Yam illustrates how grassroots tactics can be politically powerful in compromising the state’s ability to suppress unpopular discourses. “Urgency, Anxiety, and Getting to Work: Paranoid Temporality and the Marketing of Higher Education“: Jeanne Marie Rose examines University of Phoenix’s advertisements to expose how they challenge prospective students to respond immediately, framing the opportune moment as a last chance at economic security. “Contexts of Lived Realities in SB 1070 Arizona: A Response to Asenas and Johnson’s “Economic Globalization and the ‘Given Situation’“: Cruz Medina and Aja Y. Martinez respond to and problematize the Present Tense article “Economic Globalization and the ‘Given Situation’: Jan Brewer’s Use of SB 1070 as an Effective Rhetorical Response to the Politics of Immigration” by Jennifer J. Asenas and Kevin A. Johnson. “Technical Rhetorics: Making Specialized Persuasion Apparent to Public Audiences“: Erin A. Frost and Michelle F. Eble argue that “technical rhetorics,” as a concept, has affordances for thinking about how to critically communicate with public audiences about specialized information. “An Annotated Bibliography of LGBTQ Rhetorics“: Matthew B. Cox and Michael J. Faris provide a thoroughly researched and annotated bibliography for LGBTQ issues within rhetoric and composition, with eleven thematically organized sections. “Book Review: Perrault’s Communicating Popular Science“: Kelly Harris reviews Sara Perrault’s Communicating Popular Science: From Deficit to Democracy and her contextualization of science writing into three rhetorical models: PAST, PEST, and CUSP. “Book Review: Buchanan’s Rhetorics of Motherhood“: Maria Novotny reviews Lindal Buchanan’s Rhetoric’s of Motherhood and finds the book opens up dialogue about the undeniable need to explore rhetorical concerns related directly and indirectly to motherhood.